Another mineral pendant set in 925 silver from my collection of pendant necklaces. 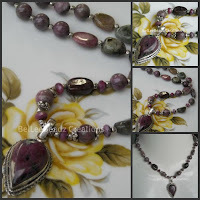 This features a ruby zoisite pendant and it hangs off a necklace comprising faceted ruby zoisite rondells, smooth round ruby beads and smooth, irregular shape tourmaline nuggets. Ruby zoisite also known as anyolite, is the natural combination of ruby and zoisite crystals in a single specimen. Zoisite, the same mineral as tanzanite, provides an earthy green and black color while ruby lends pink and red highlights. 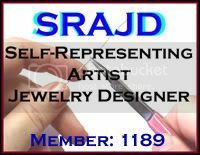 925 silver bead spacers bring this exotic piece to a length of approx 16"and the pendant drops at approx 1-3/4"